Can ozone be used to treat caries (cavities) without the need for drilling and filling? 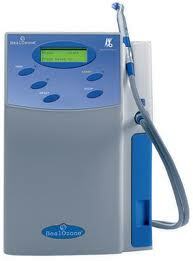 It seems that ozone therapy in dentistry is coming of age. If one of your teeth has only small areas of decay, we can often use ozone treatment to sterilise it. Bacteria that causes tooth decay is found deep within the tooth structure. Removing these bacteria would usually mean amputating the infected area of the tooth (and there’s always the risk that infected areas could be left behind). A further concern would be that the fillings put into the tooth are not a permanent solution, on average they last between 6 months and a couple of years. Each time the filling is replaced, the filling has to be larger and more of the tooth is damaged. This downward spiral usually leads to expensive dental reconstruction. Now the new ozone treatment is changing the way dentists work. All the bacteria that cause tooth decay and infection can be eliminated with a device that gives out a burst of ozone – and the best part is that it takes about 1 minute! 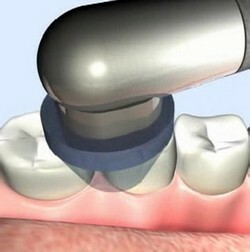 This not only gets rid of infection but also avoids drilling; this means there’s minimal treatment, it doesn’t weaken the tooth, and there’s no pain. In most of the world, other than the US, ozone is already being used to disinfect cavities by killing bacteria on direct contact. It is used to disinfect teeth with cavities and is used to disinfect the root canal prior to filling it. All you do is expose the carious enamel and dentin to ozone. While there is promising research to suggest it works, the difficult question is how long will the tooth or root canal stay disinfected. 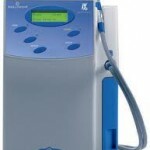 There are currently three ozone machines that can disinfect tooth decay beneath the enamel. Certain protocols call for two or three one minute applications to kill the bacteria. Heavy remineralization therapy is also recommended. Clearly, Ozone Therapy will appeal to a large patient target group from young to old throughout all generations, because most people are afraid of the pain involved with caries (cavity) treatment. But the caries (cavity) treatment with ozone puts an end to all this! 90% of treated teeth are expected to respond positively providing that the patient follow the care instructions. Ozone Treatment can prevent bacteria getting trapped deep inside a treated tooth that then has a filling or crown placed on top. Although the upfront cost is the same as a filling, long-term the procedure means intact, healthy teeth which are much less likely to need expensive treatment in the future. Even when we have to remove a small amount of enamel to allow the ozone to penetrate, there is generally little discomfort. The treatment restores the balance of bacteria and, if followed up by the use of special mouthwashes, toothpastes and gels, can remove the root cause of cavities and strengthen the enamel on the treated tooth. Keep your teeth free of bacteria and plaque by regular and effective toothbrushing. Use xylitol sweetener (found in diabetic confectionery and some chewing gum and mouthwashes). Use fluoride mouthwash and toothpaste. This device is not being much used in the US yet and is awaiting FDA approval. In summary, ozone and lasers would be good for beneath the surface cavity disinfections, but not for long term root canal disinfections. The technology is promising but if overall health is your primary goal, the avoidance of root canal therapy through prevention is the key. Or if your choice lies between root canal therapy or extraction, choose extraction. 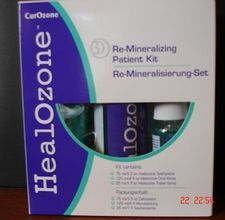 This entry was posted in Oral Care and tagged cavity, curozone, drill, fillings, heaolzone, ozone therapy, pain free, root canal, sterilise on August 20, 2011 by chzechze.